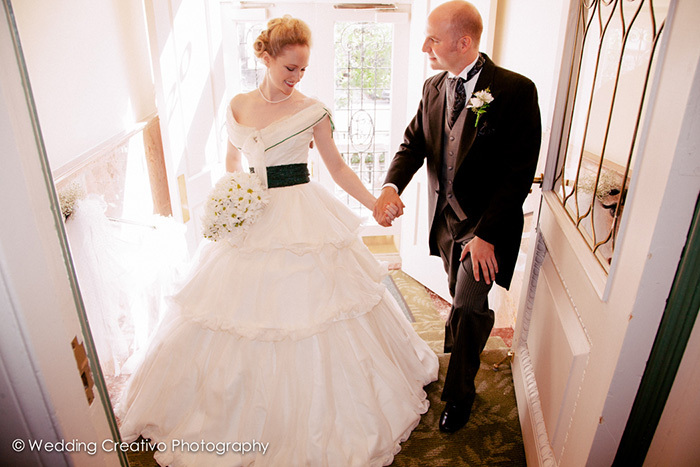 Mary and Matt were married on a September afternoon at Assumption Catholic Church, with reception at The University Club of Chicago. Giorgio and I enjoyed celebrating with this fun couple and their friendly families. They all have a wonderful sense of humor and love to sing and dance. 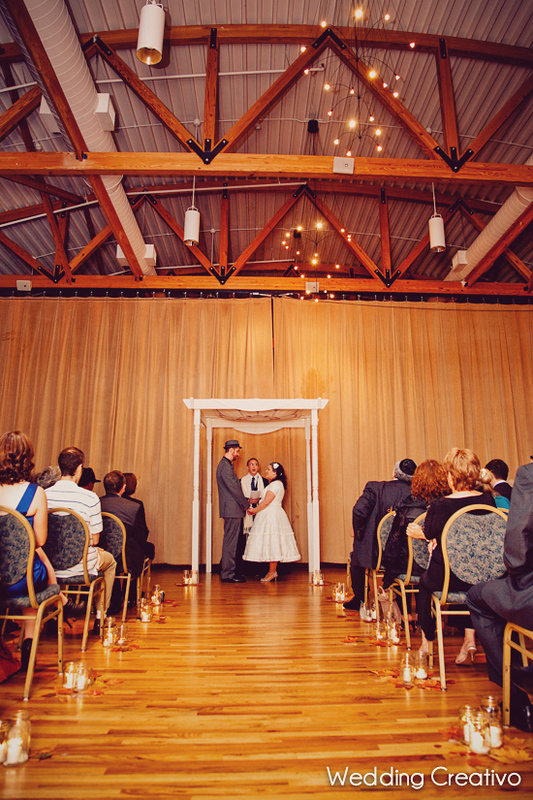 Mary and Matt really threw a great party at their wedding! The peachy colors with red accents were a nice color pallet for an early September wedding transitioning from summer to autumn. 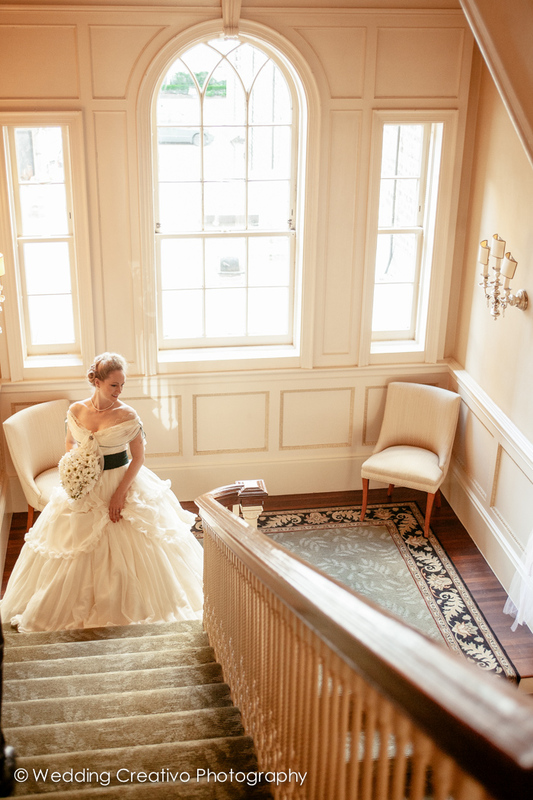 The bride's Vera Wang gown and Stewart Weitzman shoes gave the wedding style a classic foundation. 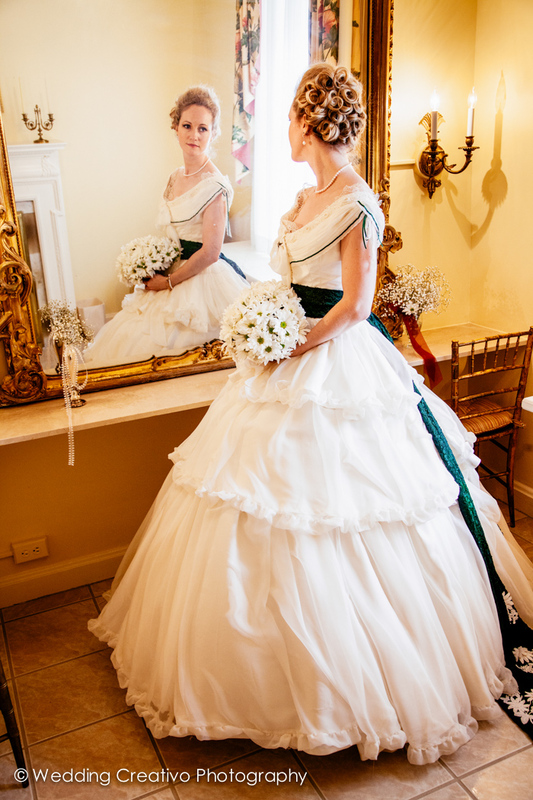 However, some modern-vintage pieces added personal touches, especially the heirloom veil, which had been worn for three generations in the bride's family. 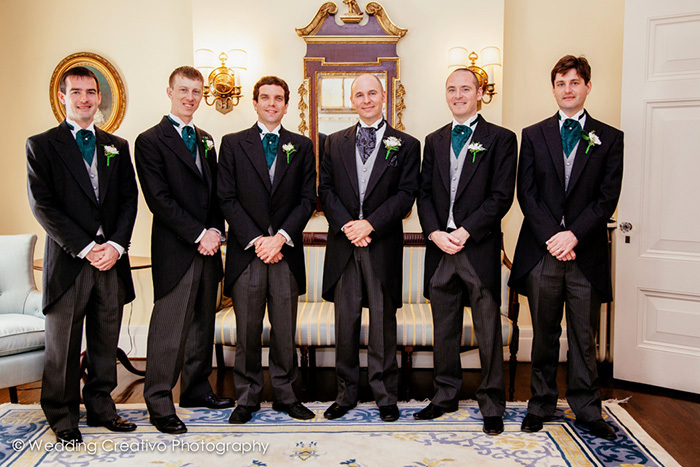 Contemporary understated styles from Anthropologie and J.Crew adorned the bridesmaids and groomsmen. 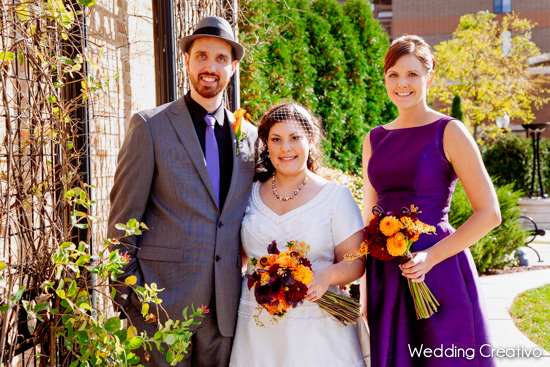 A fantastic team of professionals helped this couple create a warmly welcoming and fun-loving wedding day: ceremony officiant Msgr. 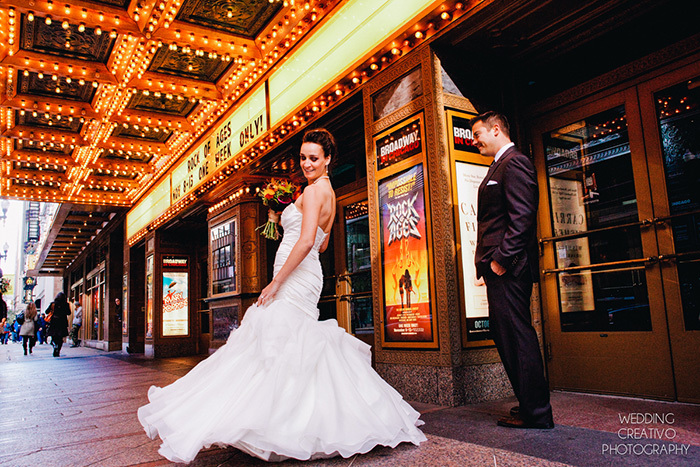 Jerry Ward, Windy City Trolley, Simply Flowers, Publicide invitations, Little King wedding rings, and reception catering and cake by the University Club of Chicago. 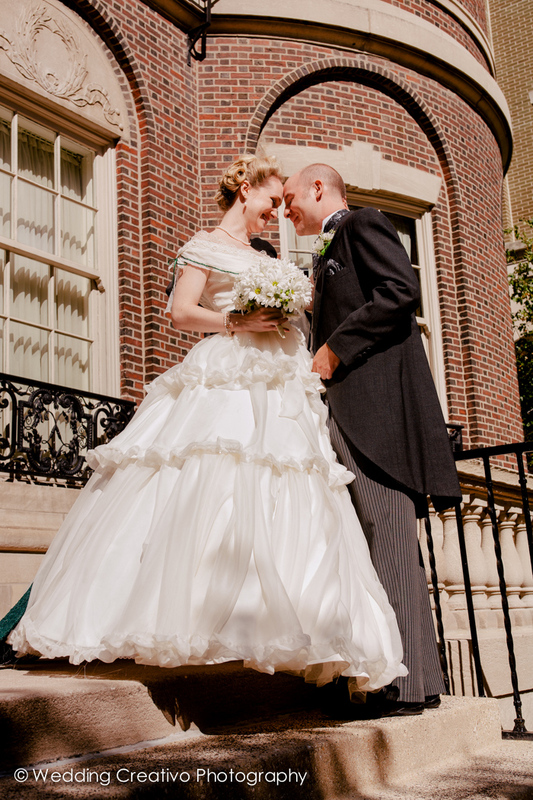 Natalie and Paul celebrated an intimate Jewish wedding at the University Club of Chicago. 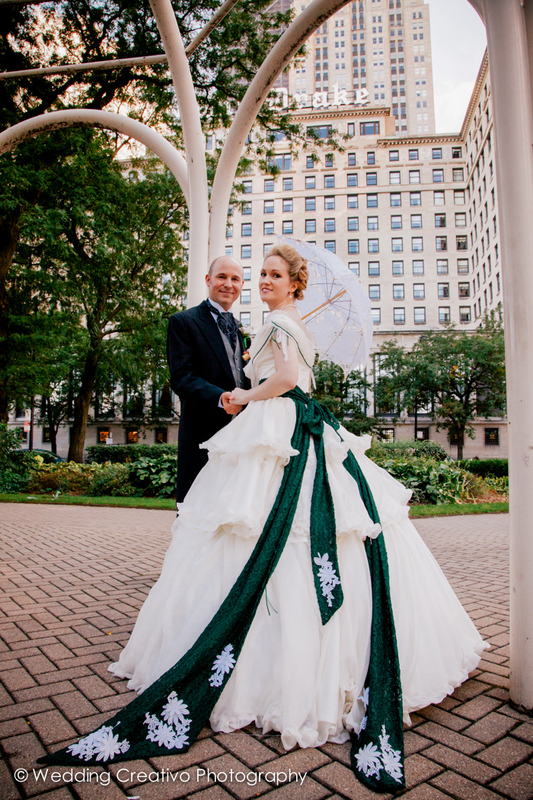 Her high-fashion corset dress was stunning, and we enjoyed strolling Michigan Ave. with this lovely couple taking in the sights of the tango dancers and chess players. Their private elegant ceremony and reception was accented with gold and champagne hues, with floral accents in fuchsia and pinks, and unique silver bowl style centerpieces. 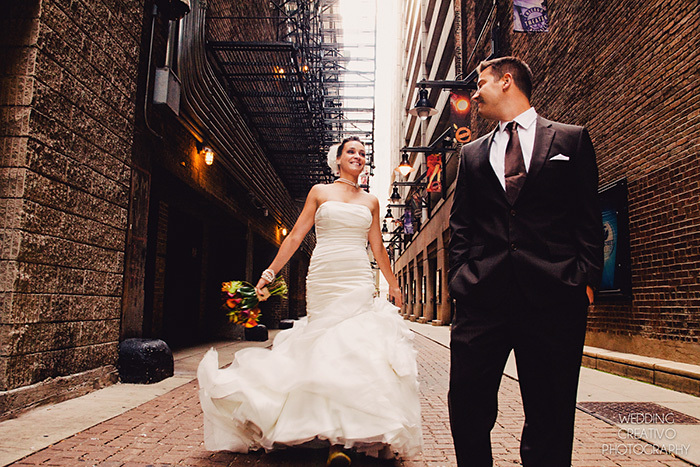 Congratulations to newlyweds Aina and Valdas, who were married this June in Chicago along Lake Michigan. This Lithuanian couple were accompanied with a couple friends and family members for a location elopement package we offer through our venue & photography services Creativo Loft & Wedding Creativo Photography. 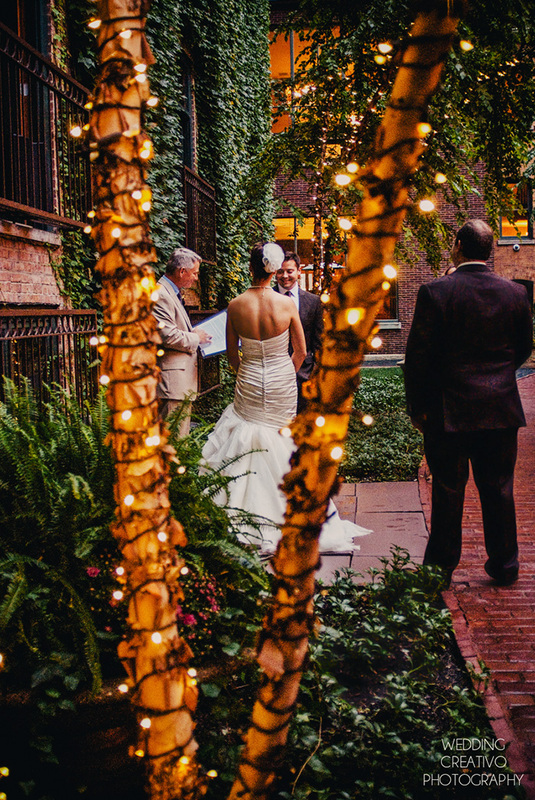 We not only perform elopements at our venue, but we also go outside on location during warmer months. Aina and Valdas opted for a Friday one-hour elopement, and then went out for a celebratory dinner, and finally a honeymoon in the Carribbean. 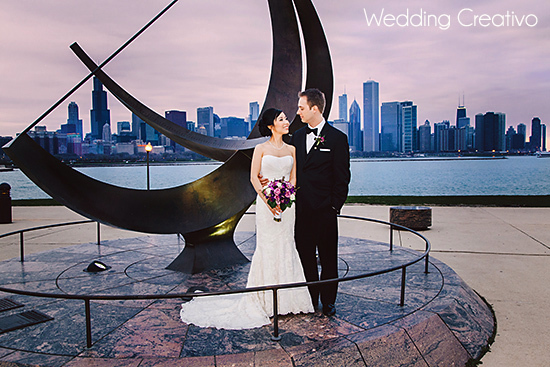 Congratulations Joe & Lena who were married at the Adler Planetarium in Chicago this spring. 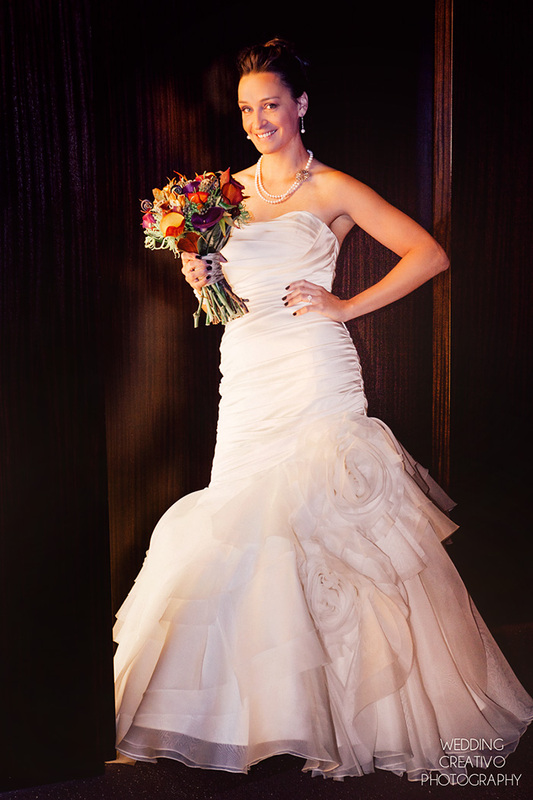 These highlights feature their modern and elegant spring wedding with purple, lavender and silver hues. 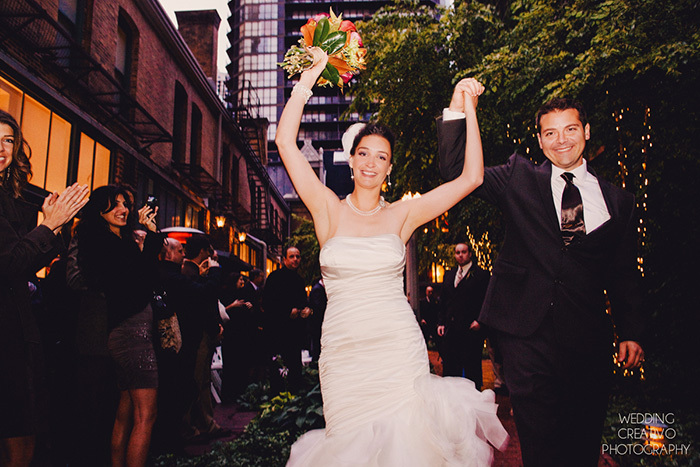 This couple also found our list of professional recommendations helpful during planning, so we had the pleasure of working with several of our favorite event pros at this wedding too, including Zuzu's Petals florist, Luscious Layers bakery, Windy City Limos, Sonia Roselli Makeup, Something 2 Dance 2 DJ, Rev. Marian Hale, and preparations at the Blackstone Hotel. 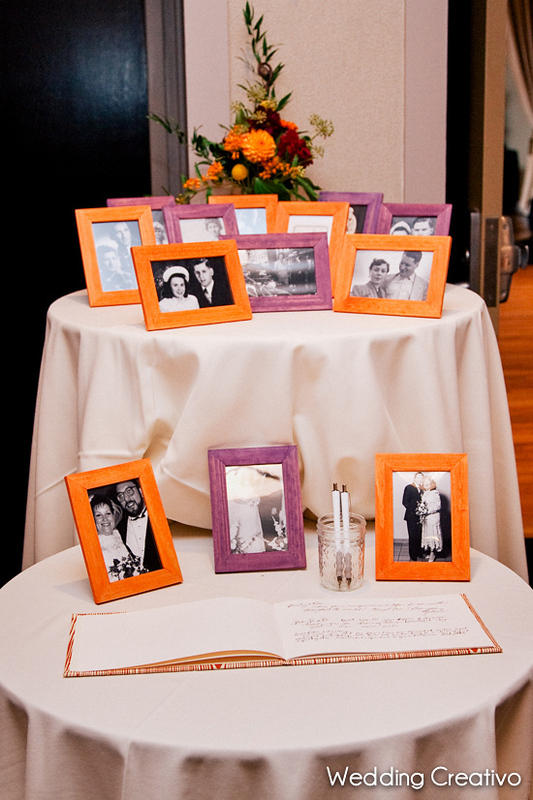 Joe & Lena also included our Polaroid camera services to add to their intimate and fun reception. We brought some cute glitter heart sunglasses to compliment the bride's glamourous style, and also silly star-shaped glasses for their evening under the stars at the planetarium. 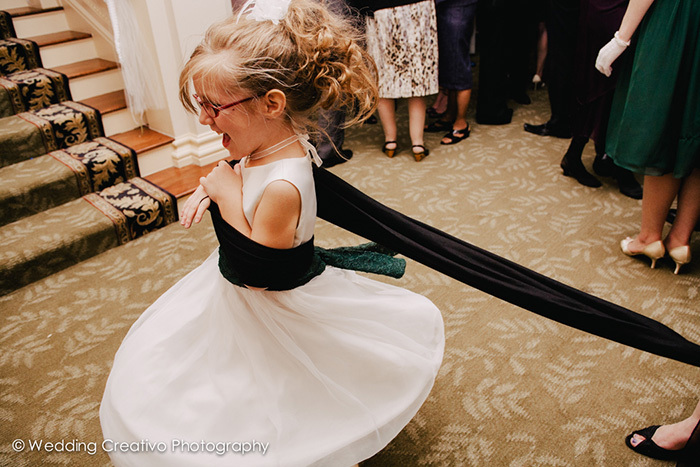 Everyone had a great time on the dance floor with our "pazzi" props, using our instant cameras all around the reception, and making a fun keepsake album for the happy newlyweds. Michelle and Mathew are a very sweet couple that met while traveling in one of the most awe-inspiring places in the world. With Machu Picchu in Peru as the setting, who would not fall in love? 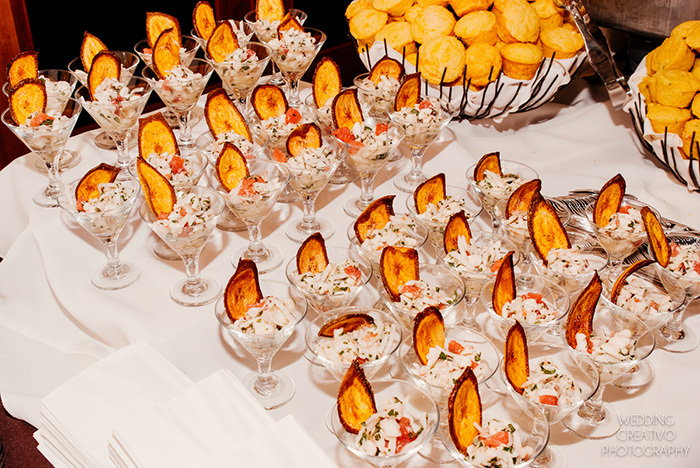 So, this couple incorporated some Peruvian wedding traditions into their special day. 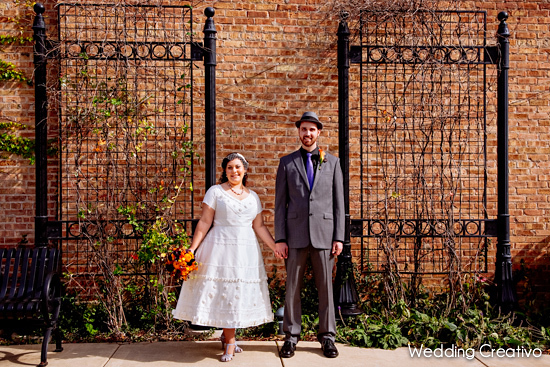 We started out by taking advantage of the blooming trees for some romantic spring wedding portraits. 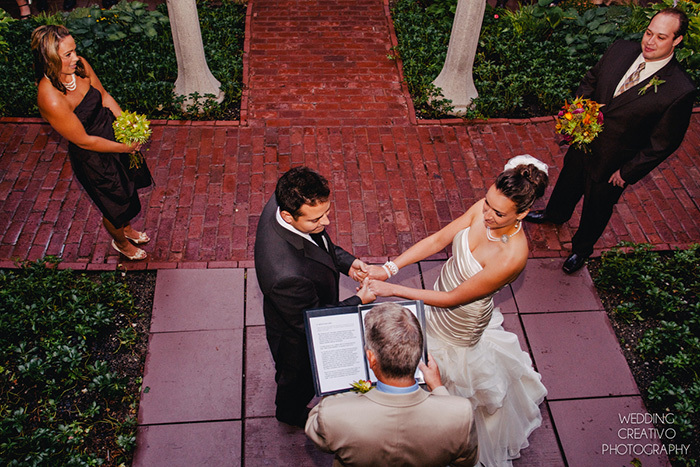 Then, at The James Hotel the ceremony was performed by officiant Anita Vaughan, who shared the tale of their lives and love story. Afterwards, an intimate gathering of family and friends dined at the hotel's restaurant David Burke's Primehouse. At the dinner table we were charmed by with the bicycle theme place cards, Vosges chocolate gifts, and incredibly detailed Machu Picchu wedding cake designed by TipsyCake. After the wedding, inspired by the reception bicycle detail and their purple-pink wedding colors, we designed this "Thank You" card for the newlyweds. 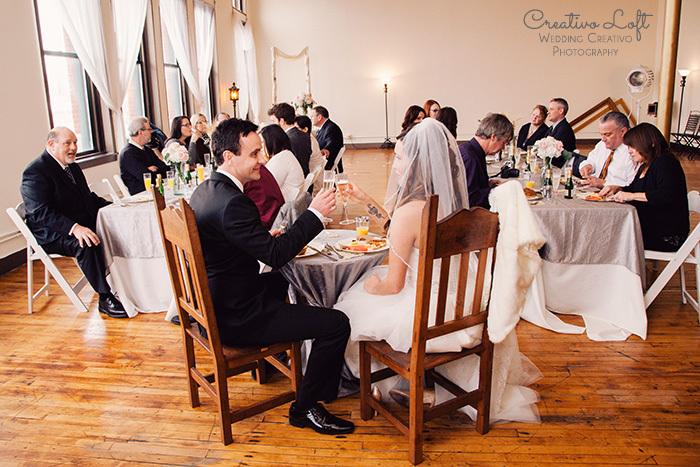 Theresa and Octavio are service industry professionals, so we were excited to see how they would use Creativo Loft for their wedding. They are also fortunate to have very creative people in their family. The couple went with the natural warm tones of our space, with our burgundy and cream draping and champagne table overlay linens. 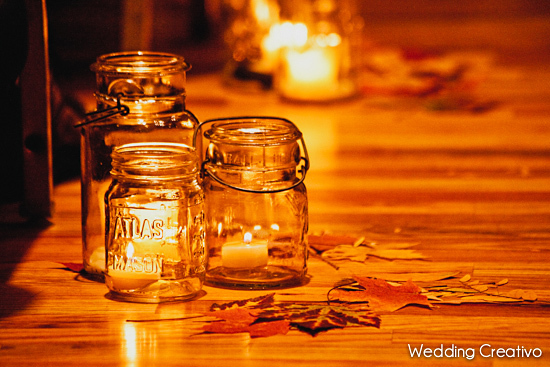 The bride's sister and friends came in the day before to set up the DIY table centerpieces, place cards, and accent decor. The bride's brother actually made the wood ceremony arch, which after the wedding became a nice garden piece for the couple's yard. 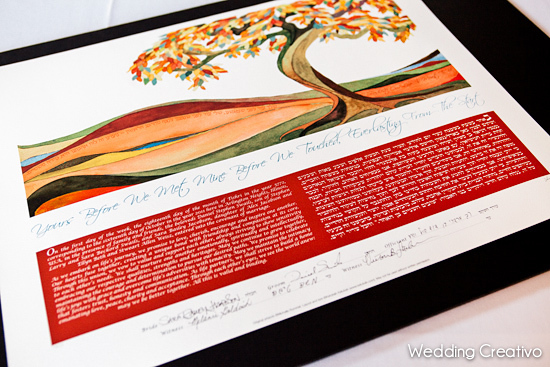 A unique and beautiful tree motif was used on the place cards and guest gifts to match the golden tree cake topper. 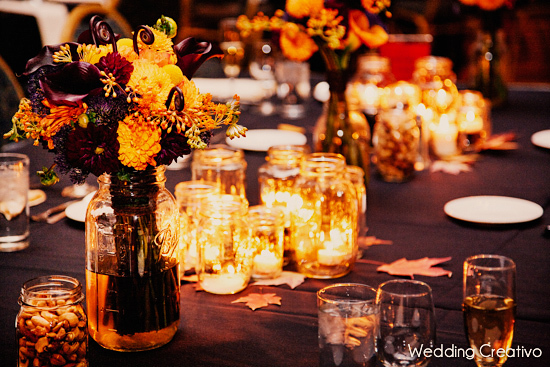 In addition to the wonderful DIY details, professional services were enlisted for a polished event. 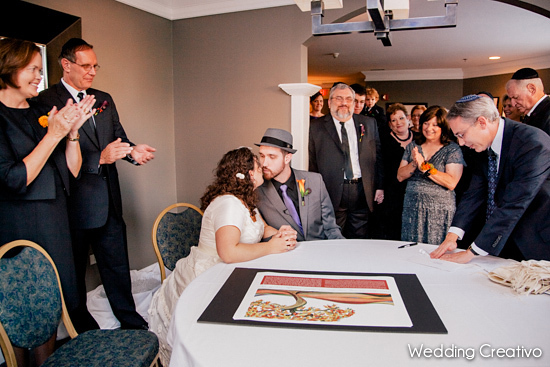 To officially tie the knot, one of our favorite officiants Judge Perry Gulbrandsen presided over the ceremony. The delicious cake from Swedish Bakery was topped with an heirloom cake topper from the bride's grandparents wedding. 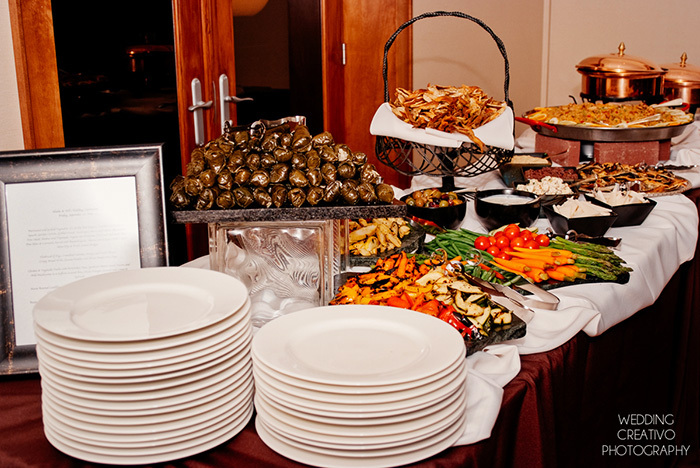 Outstanding cuisine, bar service, rentals and staffing were handled by FIG Catering. 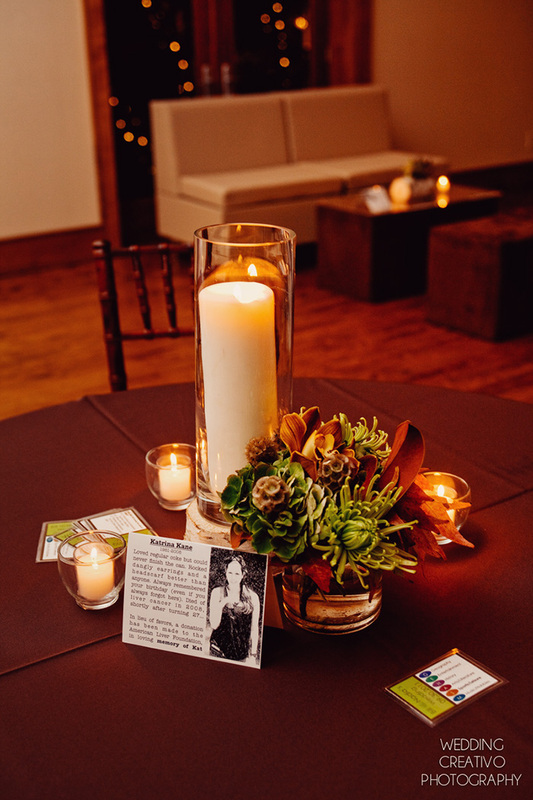 The couple also utilized some of our in-house services and decor at Creativo Loft, including our music sound system, rustic farm table, antique wood trunk, antique Venetian lantern floor lamp, iron bistro table and chairs, and champagne and burgundy accent linens. We also had the corner lounge setup with couches and antique Italian marble coffee table by our vintage upright piano. It was a lovely wedding and congratulations to the newlyweds! Congratulations to Dave and Kim who celebrated their wedding in Geneva last weekend, and we are excited to share some highlights from their special day. 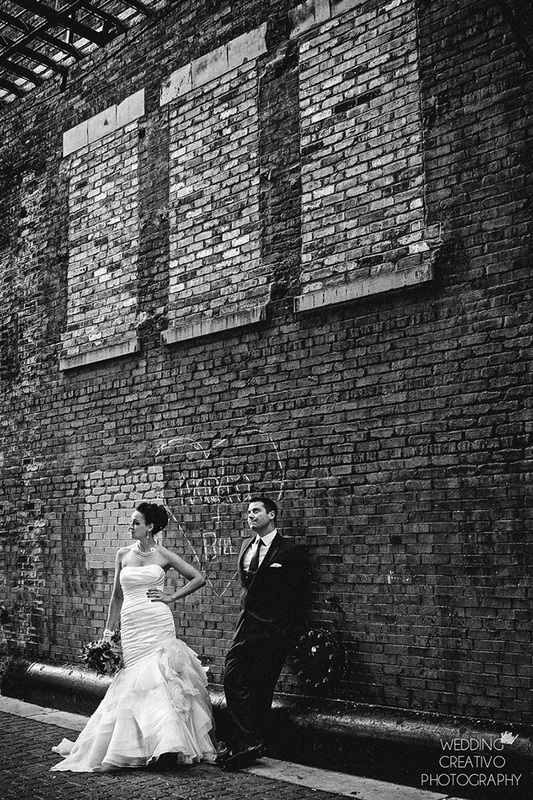 Stay tuned for a full feature of this wedding in the future. 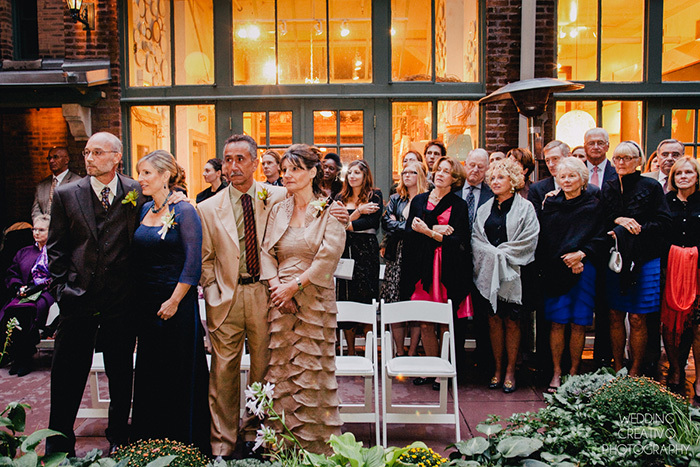 When a wedding is the first one for any family it is usually extra emotional. 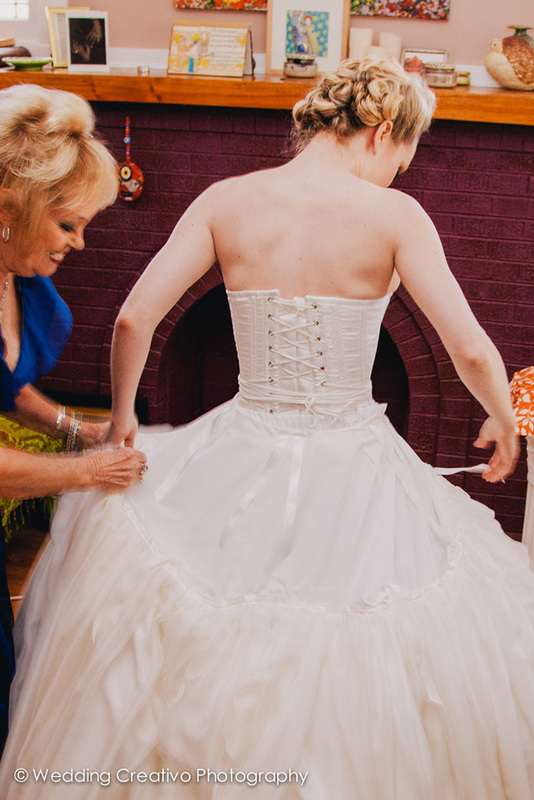 Moms are often just as nervous as their daughters. You might even see dad shed some tears. 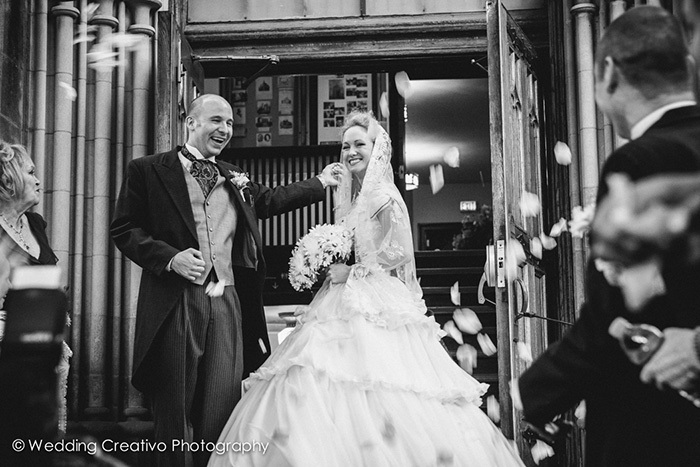 These families were indeed filled with butterflies and excitement for the bride and groom on their special day. It was adorable to see Jamie's father so expressive with emotion, and it is always wonderful to see parents so involved and attentive on the wedding day. 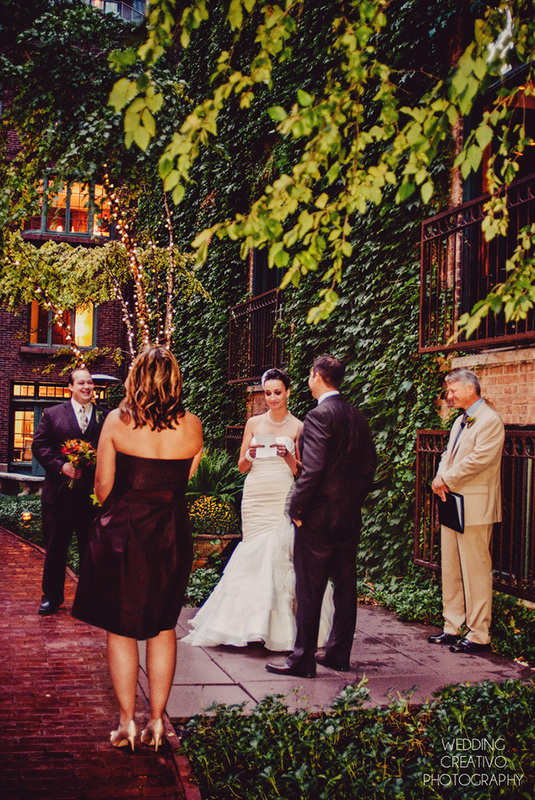 Jamie and David held their wedding at Saint Cajetan Church and reception at Harold Washington Library. 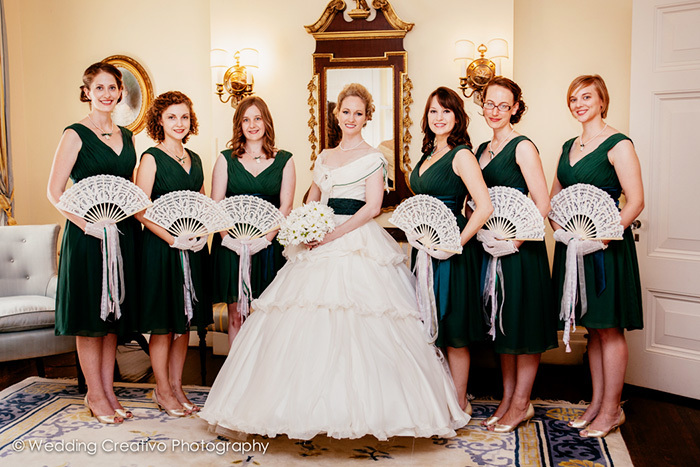 Natural beauty was abound with lovely greens and vintage details to set the tone for their grand celebration. 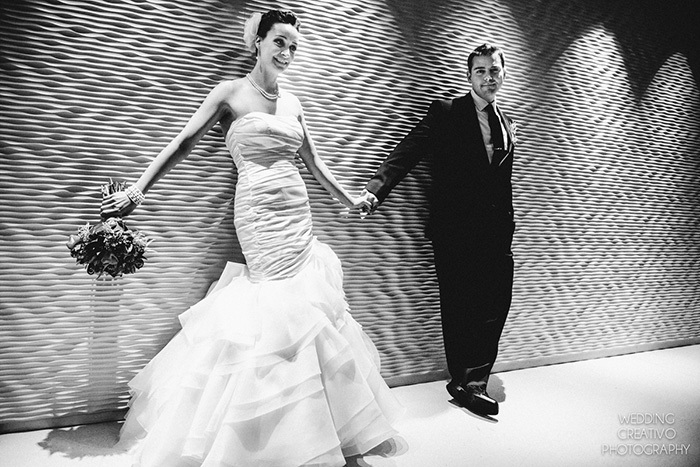 The bride wore a spectacular Lazaro gown and statement heels from Stuart Weitzman. 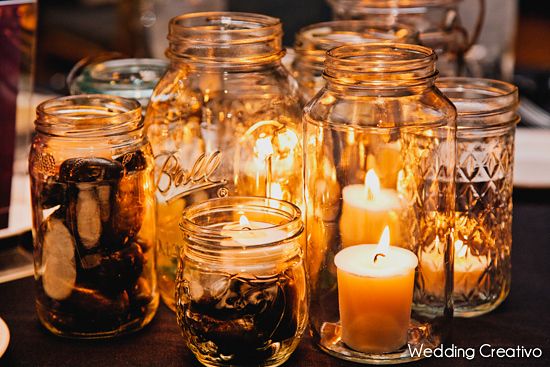 The reception had a wonderful balance of elegance with rustic vintage accents. 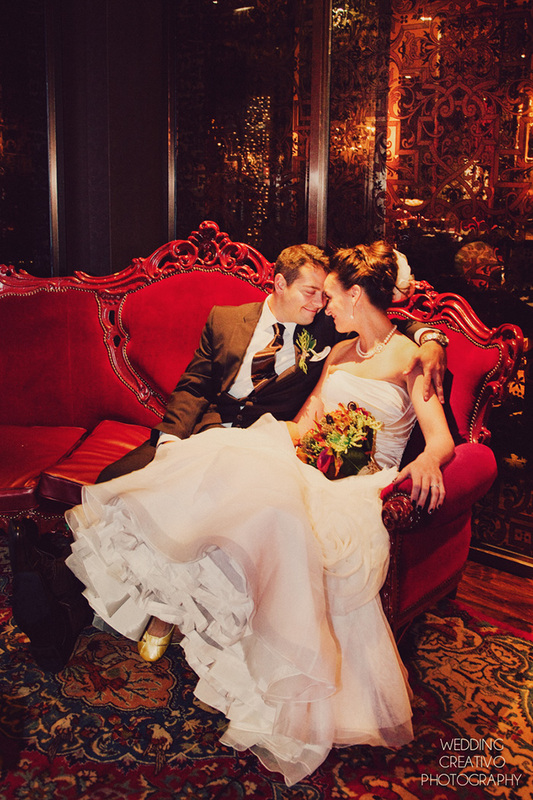 A few items were made by the bride, or special collected pieces including the cute Mr. and Mrs. chair signs. What we always remember most at all weddings are the unique spontaneous moments, and at this one...they were filled with songs. 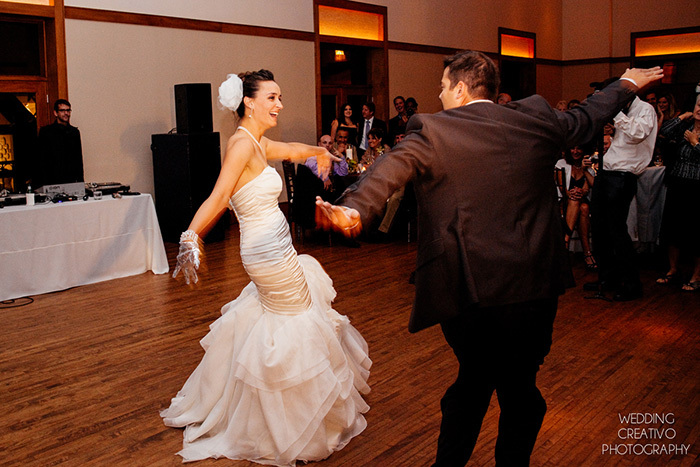 Read on below to see how Jamie and David's wedding day was at times like a real-life musical with many people spontaneously breaking out into song. Jamie and David invited former American Idol contestant Chris Medina to their wedding and he sang at their ceremony! As it turned out a lot of people (and a bird) were inspired to sing for Jamie and David. They enjoyed not one but two spontanous group serenades in the park while we were out taking portraits. 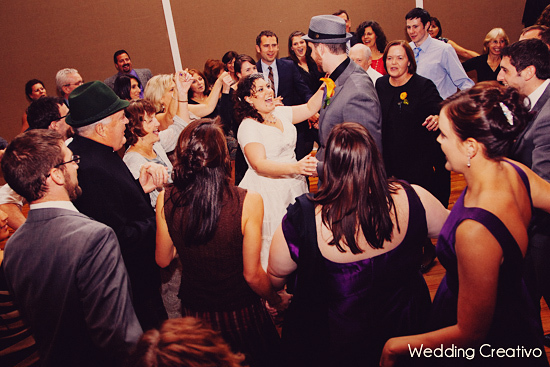 Finally, the happy couple were treated to one more surprise song at the reception, this time by their bridal party! 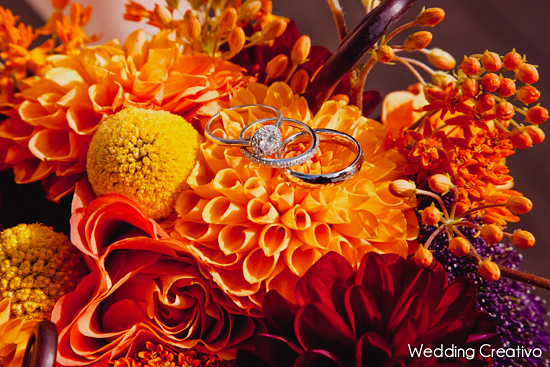 Featured event professionals: Steuber Florist, Naples Bakery, Tone Productions DJ, Exquisite Limousine, Formally Modern Tuxedo, Bella Bianca Bridal, Wedding Creativo Photography. 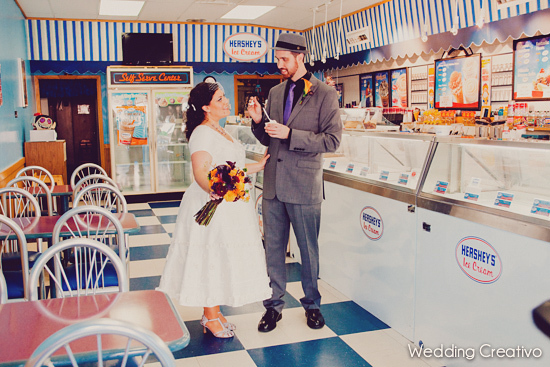 Misty and Frank celebrated their marriage in March, just a few days shy of the first day of spring. 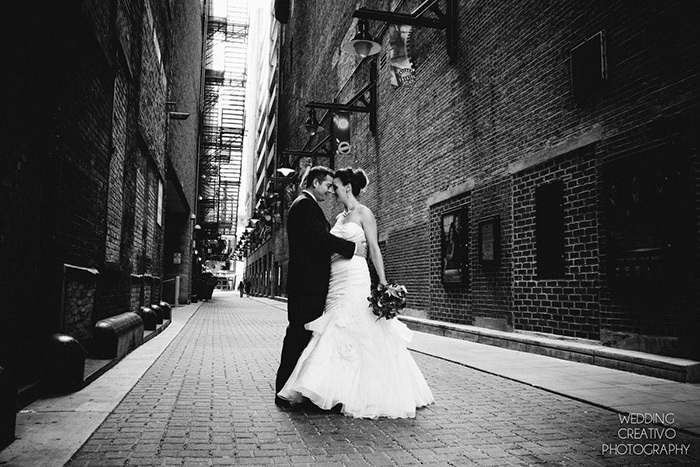 It was a chilly day, but these troopers went out for some classic Chicago landmark portraits before joining their family and children at Creativo Loft for a morning ceremony and breakfast. 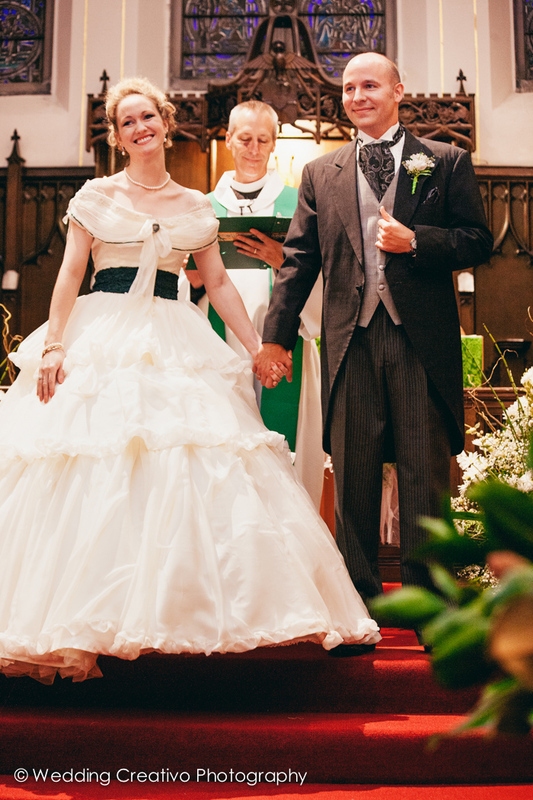 This marriage not only was the joining of a bride and groom, but also the blending of a new family with their children. Congratulations to the newlyweds and their family! 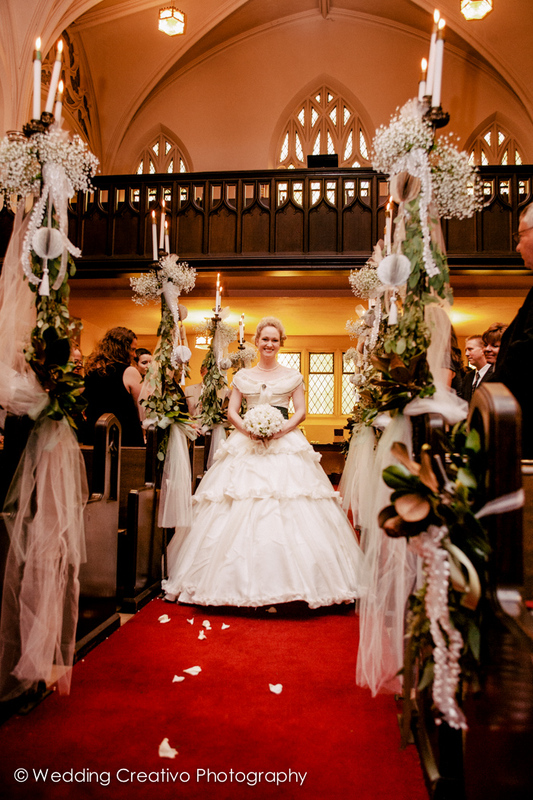 Olena and Andrew celebrated their marriage with a Ukrainian ceremony at St. Nicholas Ukrainian Catholic Cathedral, followed by a modern-vintage style reception at Public Chicago hotel. 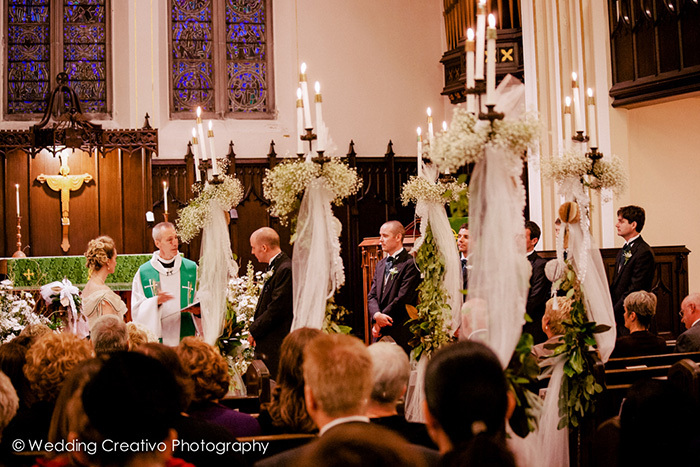 The bride's own father celebrated the traditional marriage mass at this spectacular and historic church located in the Ukrainian Village neighborhood in Chicago. 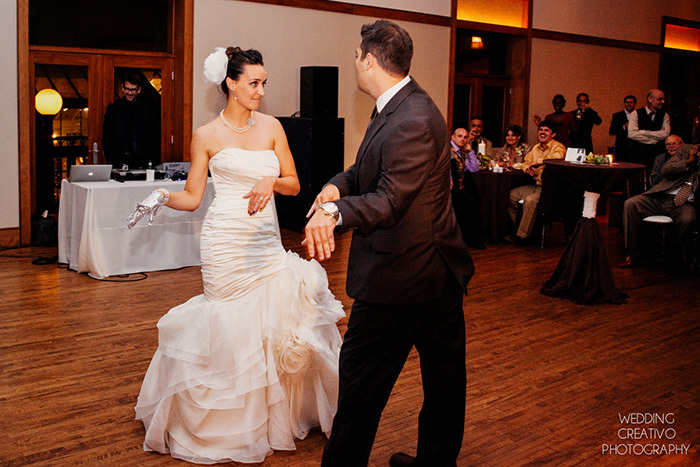 Olena was radiant in her lace detailed Watters gown, long lace trimmed Vera Wang veil, and sparkly Enzo Angiolini heels. Andrew wore a sleek Hugo Boss suit. 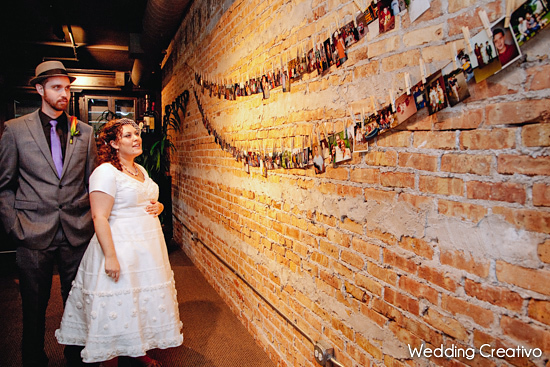 The bride and her family handmade several sentimental details. Her sister made the blue floral dressing robe, grandparents made the Ukrainian wedding bread, which symbolizes blessings and good fortune, and her mother made the ceremonial myrtle crowns. 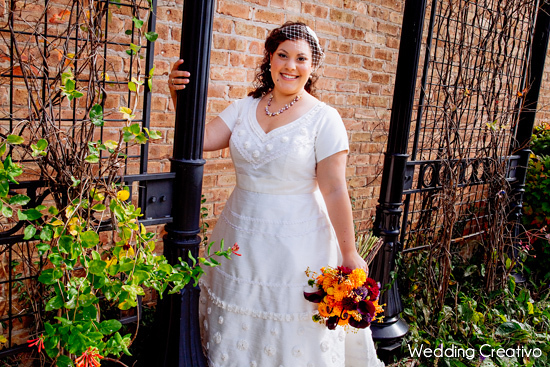 The bride sewed the pillows that incorporated lace from the groom’s mother & grandmother’s wedding gown. 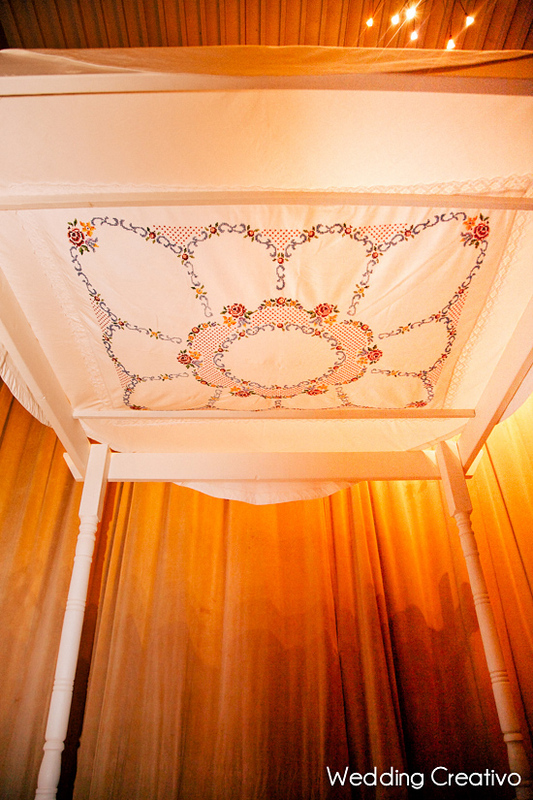 The hand-binding fabric was embroidered by a local Ukrainian artisan with Olena’s design. 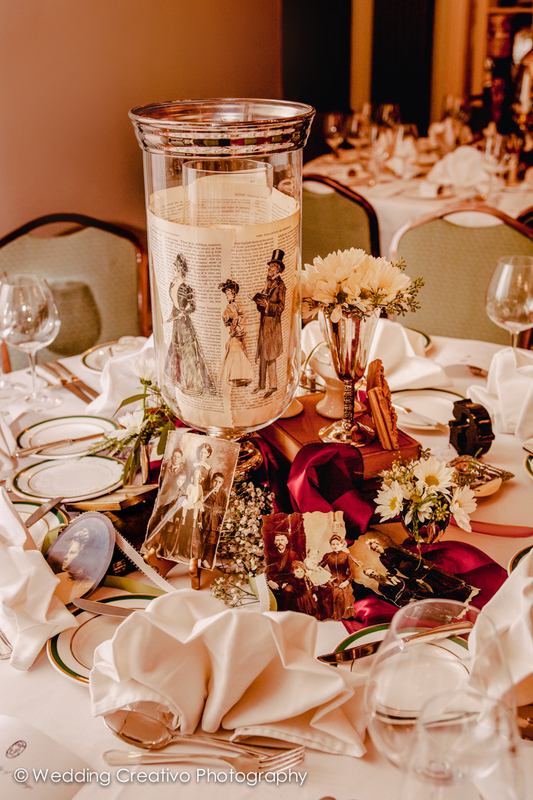 The bride made all of the paper goods, and styled her reception dinner with her own collection of silver embossed chargers, vases and candles. 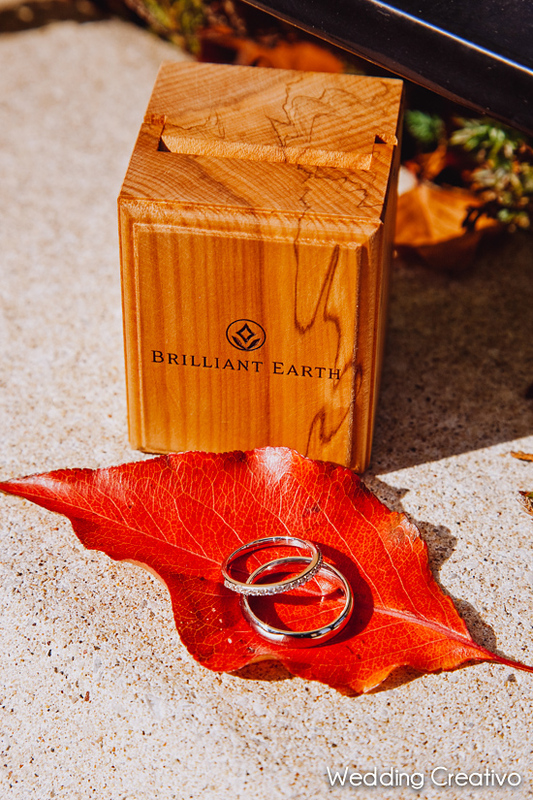 The couple gifted guests with Kona coffee, vanilla infused cane sugar from Maui, and chocolate covered macadamia nuts from their home in Hawaii. 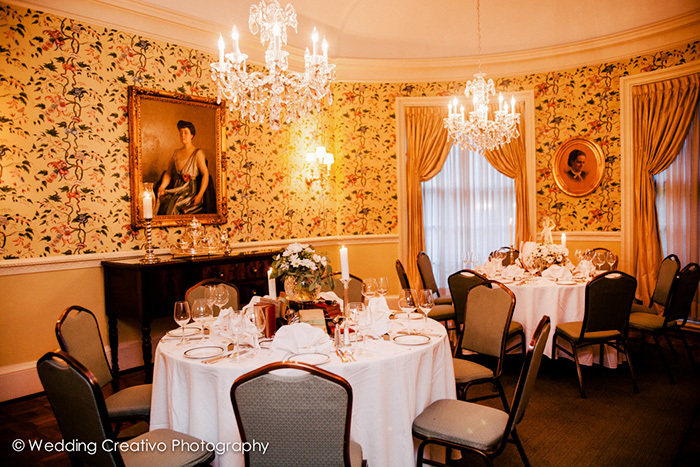 Event professionals: Public Chicago/Pump Room catering, Weddings by Karolina day-of coordinator, TipsyCake pumpkin spice cake, Asrai Garden flowers, La Tavola linens, Tablescapes rentals, Nika Vaughan makeup, Sarah Jean Stevens hair styling, & Wedding Creativo Photography.